Get Original Sabah Printed Textile here! KAIN CHANTEEK! 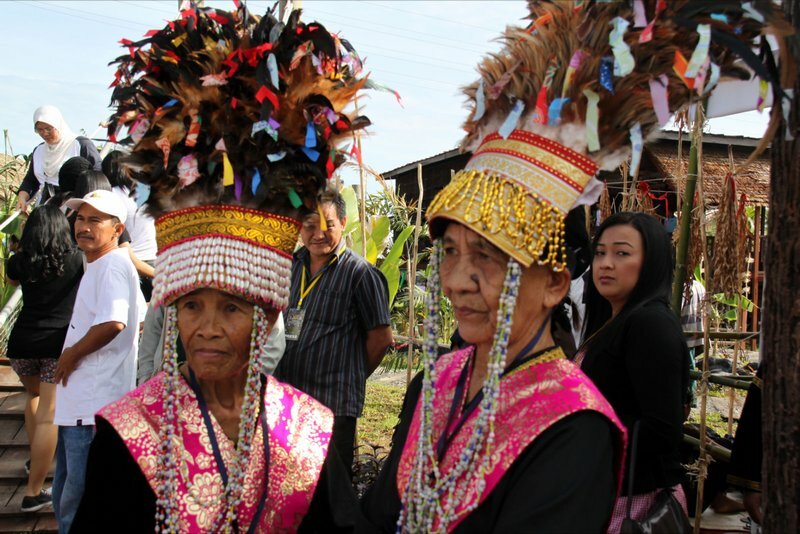 The Kadazandusun people in Sabah used to decorate their costume with a white seed called Dalai or Huvong as their beads. 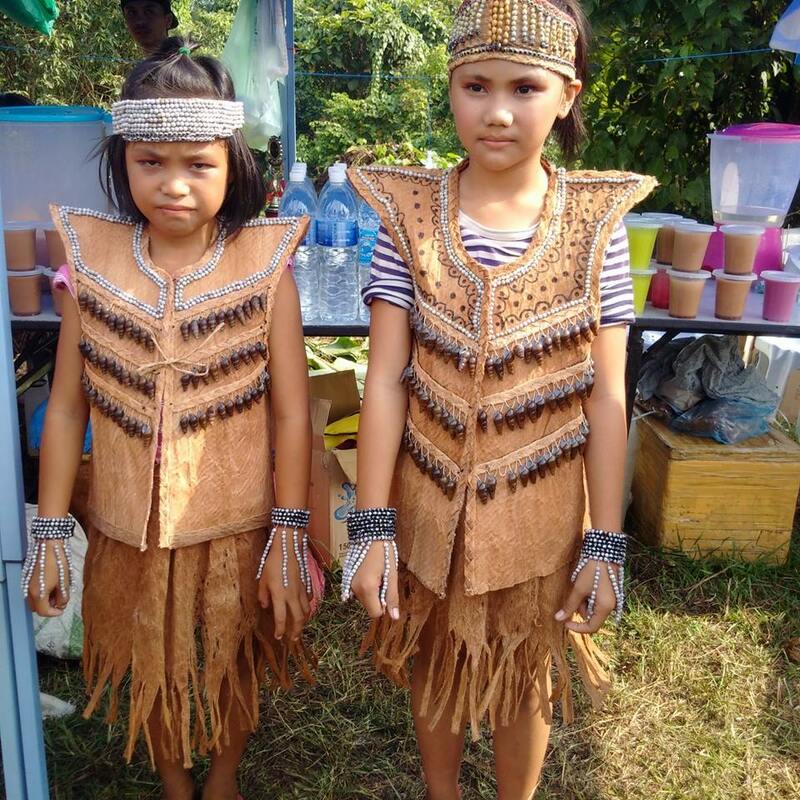 Up until today, some of Dusun people are still using Dalai seeds to decorate their costume. A Tree bark clothes decorated with Dalai seeds and river shells at Kampong Nunuk Ragang. The locals believed that the Dalai seeds or Huvong, could protect them from the evil spirits. The word 'Huvong' is derived from the Kadazandusun word 'Ompuvong' meaning 'to confuse'. Beside functioning as a costume's decoration, Dalai are also used to craft accessories such as necklace and bracelet. The KadazanDusun people believed that Dalai would help to confuse and scared away unwanted presence. During a ritual ceremony, the Bobohizan will wear Dalai to avoid the bad spirit. The elaborate head-dress worn by the high priestess (Bobohizan) as seen in the picture below, is well decorated with strings of Dalai. How to stylish your Dalai necklace? In the olden days, Dalai necklace and bracelet were use to avoid the evil spirit. 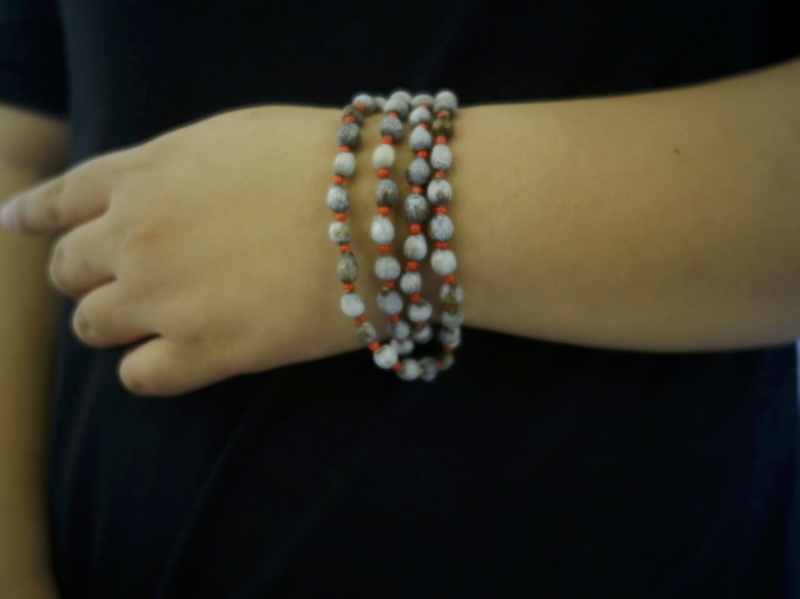 Now, these Dalai accessories can be worn with our modern clothing to get the traditional yet authentic look. 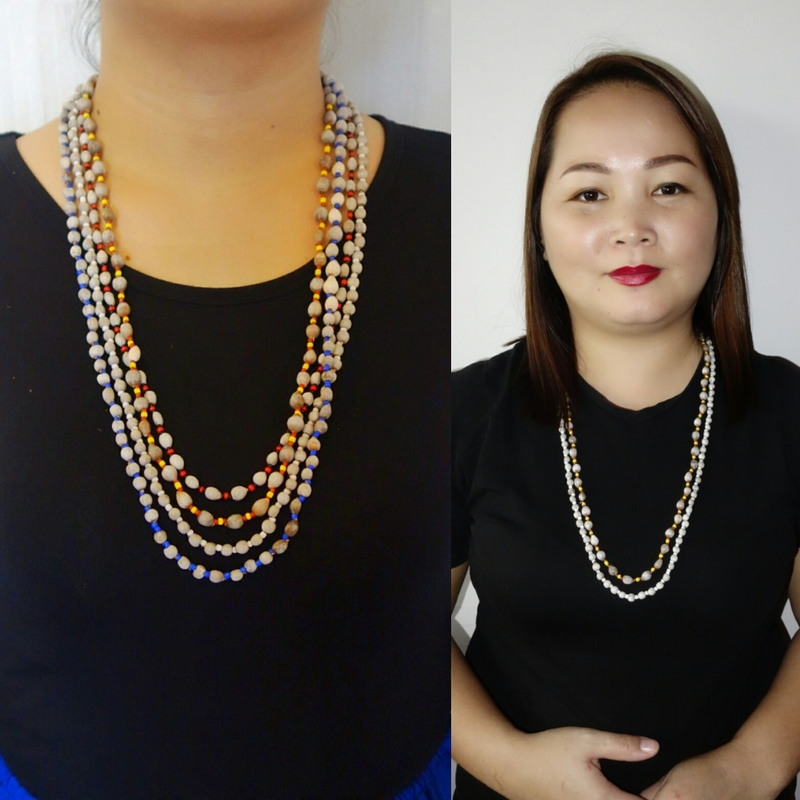 For example, the Dalai necklace can be worn up to 5 layers for more stylish look. The necklace also can turn into a bracelet with few layers look. It is flexible and easy to match with our daily look as well. Get your own Dalai accessories now! Traditional Sisingal as chic accessory?